Glucosamine is a natural compound that is a normal constituent of glycoaminoglycans. It is found in healthy cartilage and synovial fluid. 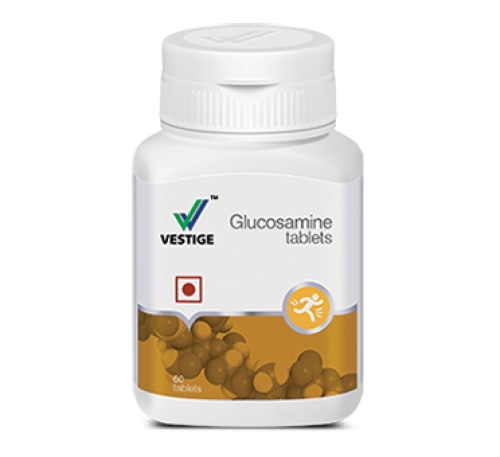 Vestige Glucosamine helps lubricate joints and supports healthy cartilage. It also helps in osteoarthritis, particularly of the knee. In certain cases it helps promote cartilage regeneration. 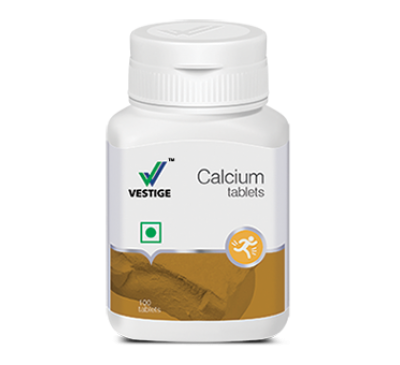 Vestige Calcium Tablets Vestige Calcium helps in building and maintaining strong and healthy bon..
Vestige Glucosamine Tablets Glucosamine is a natural compound that is a normal constituent of glyc..